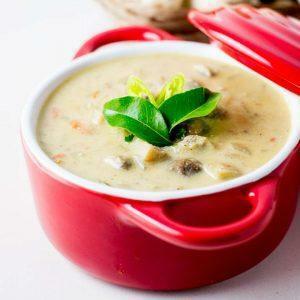 Recipe for South Indian style Mushroom Stew. Perfect side dish for appam and idiyappam. Recipe with step by step pictures.